The Second Advent Society (Seventh Day Advent) was organized in 1862, with about thirty members, by Rev. Canright from Battle Creek, Michigan. For the next nine years the congregation met in private homes in Osceola, Woodburn, and Leslie, generally in the homes of Samuel Reish, S. C. Neal, and Jacob Decker. 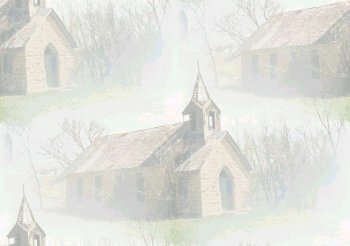 Also during these years services were held in the Lewis schoolhouse 9 miles southeast and in the Fairview schoolhouse, 4 miles south of Osceola. In addition to the above named, Daniel Glunt, Jacob Shively, and R. E. Barnhill were among its principal members, and during these years W. H. Millard, an Osceola lumberman, acted as pastor. Other pastors were George I. Butler and W. R. Howard of Winterset. 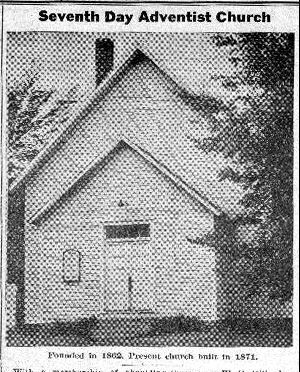 Their church was erected in 1871 at a cost of $1200, and is in the southeast part of Osceola on South Park street It also had a long horse barn which stood just back of the church, for the comfort of the animals during the time services were conducted.